Travelling with your tot? Here are five things that never leave my bag. First, what bag should you use? I have a big and lightweight bag where I can put both my kid’s and my stuff for the day. Generic bag from the store that’s got it all for you. Less than P500. Waterproof because it’s plastic. 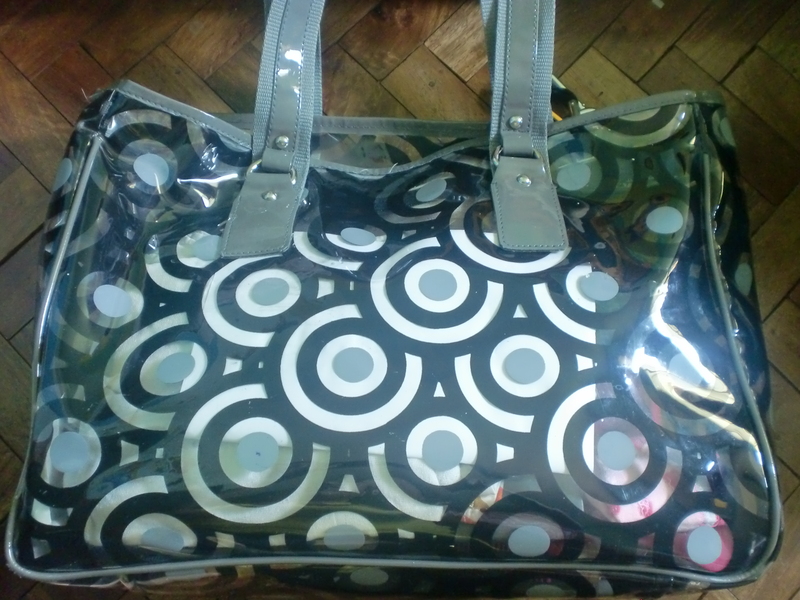 I also have a nylon bag, a wee bit smaller but spacious. Waterproof as well. 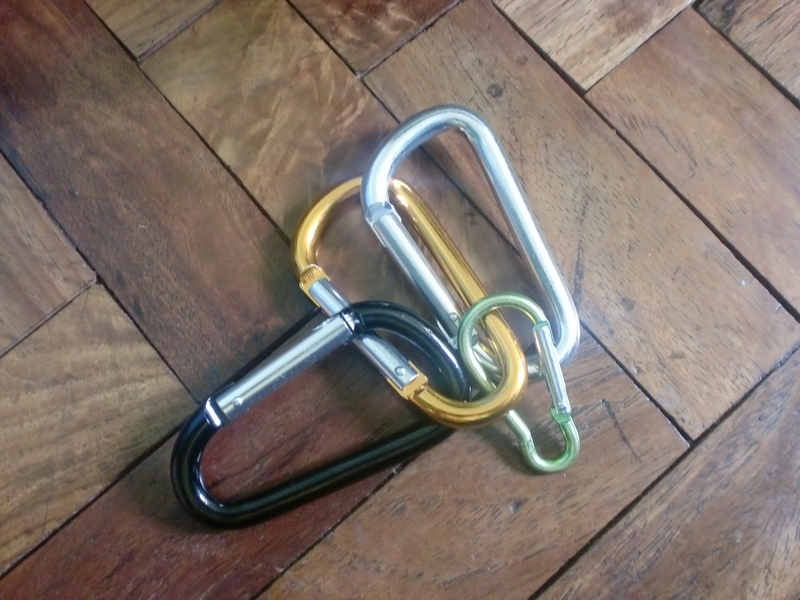 One of my current favourite things, the carabiner. Carabin-what? A carabiner is a quick snapping metal hook. This is often used as keychain as you can easily hook it on your belt…slots? It’s called “sinturera” in Filipino but I don’t know its English equivalent! I hook these on my bag’s metal loop. Much useful when I do the grocery alone with my child. Saves my hands from carrying all those bags in each of your fingers; you can just clip all at once and go. Quench your thirst easily, anytime, anywhere. This water bottle I always hook on my carabiner on my bag. 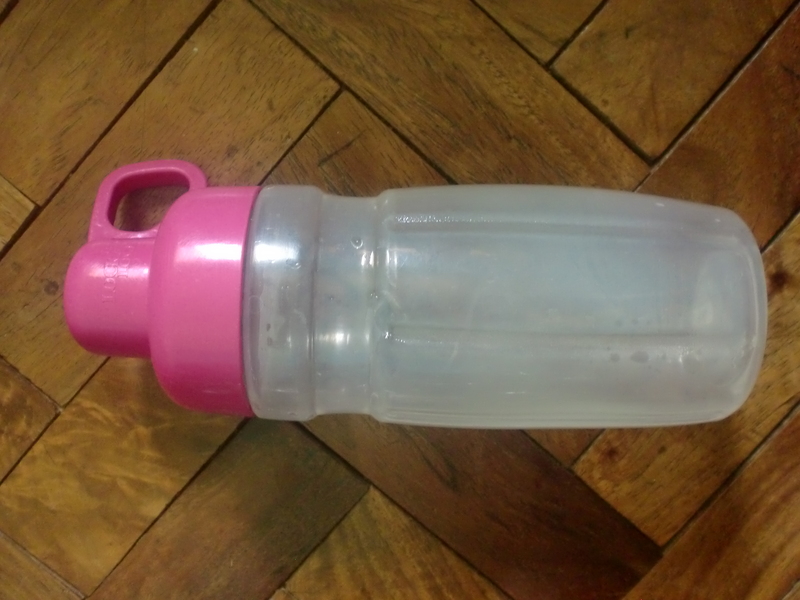 Much, much easy to carry water for the little one. Choose one which is easy to clean as well. Tissue and hand sanitizers do the trick always for me. The all-natural hand sanitizer I got from Mommy Patch called Little Contessa. Spritz onto your child’s hands and to toys, furniture, high chairs, before use. I often save tissue I get from restaurants or fast food chains for unexpected use. Ring sling saves my back from further injury when carrying my big day bag and my preschooler, sometimes a couple of grocery bags. I got two ring slings from Next9 which I bought in a department store. Eco-bags are such a great hit nowadays, especially that some cities are going eco-friendly by eliminating plastic. Often, when we buy stuff, they will be packed in huge brown bags without handles. So, ecobags definitely saves my day! What are your mini-lifesavers? Sharing is caring!